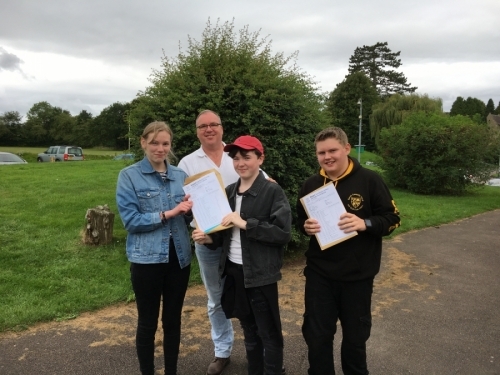 Following on from our superb Post 16 results last week, which saw a 5% point rise on our results from last year, Newent Community School and Sixth Form Centre is celebrating fantastic GCSE results which show continued success in our high performing school. This is testament to the hard work by staff and students and these positive results will facilitate great life chances for so many. Students in this year group are the first to have undertaken reformed GCSE courses in English and Mathematics, which are graded on a new numerical 1-9 grading system. We are exceptionally proud of the students for performing well in these new more challenging GCSEs. Over a quarter of our students achieved the top grades of 9-7 in at least one of their English qualifications. In total, 22 grade 9s were awarded to students across the year group. This is an exceptional achievement since the new grade 9 recognises the very highest performing students from across the country. Other highlights include 72% of students achieving grades 4+ (A*-C) in GCSE English and 70% achieving grades 4+ (A*-C) in Maths. 63.19% of students achieved 5+ A*-C grades with 58.9% of students achieving 5+ A*-C including English and mathematics. 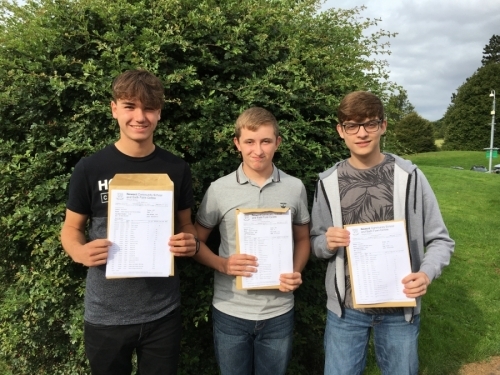 Over 16% of all grades achieved were either a grade 9-7 or A*-A. We are proud of all our students, many having made excellent progress from their KS2 starting points. Superb results were achieved by many students in the traditional, academic subjects that make up the English Baccalaureate as well as in our vibrant practical, creative and performing arts departments. The overwhelming majority achieved the grades they required to take the next step in their lives, whether that be studying A levels with us at Newent, attending college, taking up an Apprenticeship or entering the world of work. We are committed to ensuring that all students achieve their full potential demonstrating high standards in all aspects of their school life from effort, work rate and ethos to conduct, behaviour and good manners. We strive to develop confident, informed and caring young adults who have self-belief and participate in their local, national and international communities; the school provides a wealth of opportunities for students to achieve these aims. We are looking forward to welcoming our new Sixth Form students in September who are set to benefit from our exciting new Sixth Form building. We are happy to accept late applications for September 2017. Last but not least we are pleased to announce the dates of our open days for prospective new Year 7 students. These will take place on Tuesday 3rd October and Thursday 5th October (10am to midday) with our Open Evening on Thursday 6th October (6.00pm to 8.30pm). However, if you wish to visit the school please don’t wait, make an early appointment to see this fantastic school in action today.